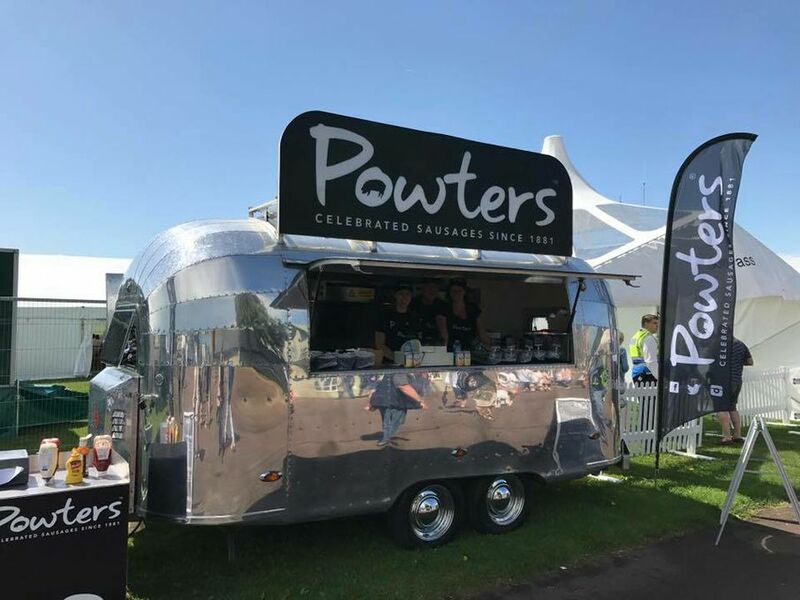 A fantastic airstream styled trailer serving the very best gourmet sausages and burgers from Powters Ltd in Newmarket, makers of the famous Newmarket Sausages. 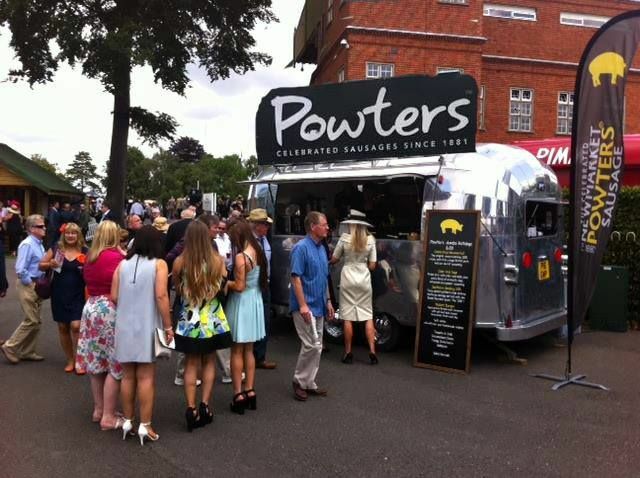 Free range British pork is used in all our sausages and top quality Suffolk beef in our burgers. 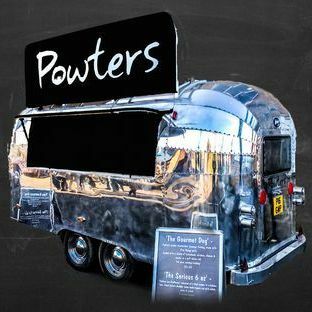 The focus is on provenance and quality of ingredients to bring you the tastiest street and event food possible. 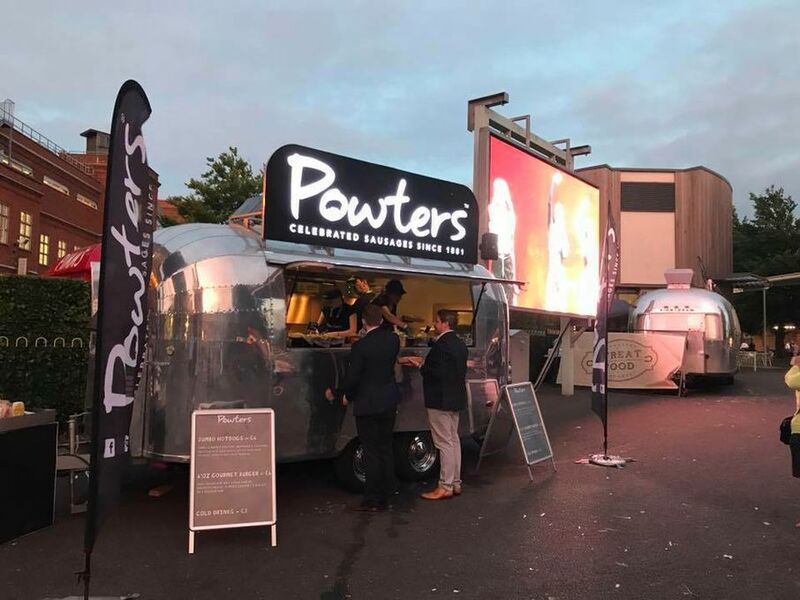 Event catering, Wedding catering, Private parties and Street Food. 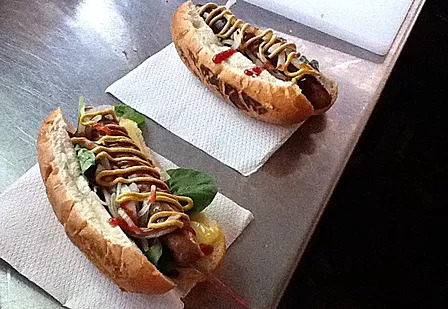 Menu choices can be designed to suit needs but mainly focus on Jumbo Gourmet Hotdogs and Artisan Style Beefburgers.